The concept of virtual memory is relative to the concept of physical memory. When the system’s physical memory deficits, the operating system will open up a hard drive disk space as memory usage and this part of the hard disk space is called virtual memory. Systems that employ virtual memory make using the hardware memory more efficiently than systems without virtual memory and make the programming of applications easier by hiding fragmentation. 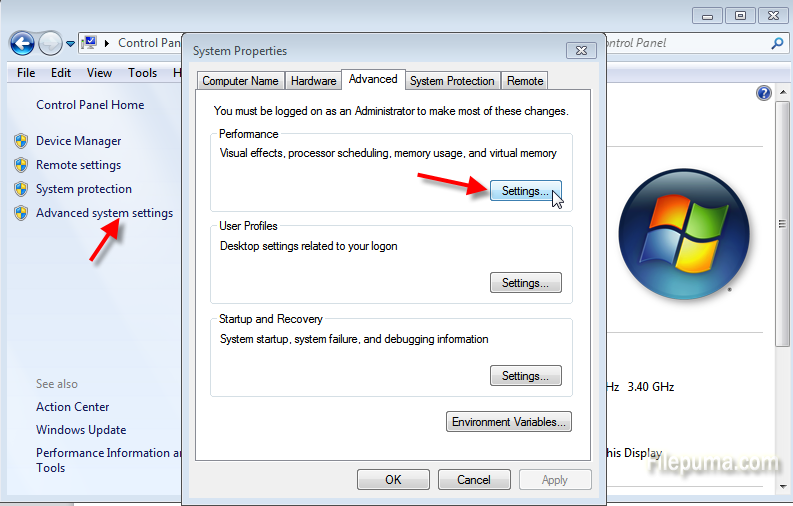 Step One: Click the “Open → Control Panel → System”, select “Advanced” tab, click on the “performance” bar and then the “Settings” button, select the “Advanced” tab, click on the “Virtual Memory–Change” button can enter the “virtual memory” window. 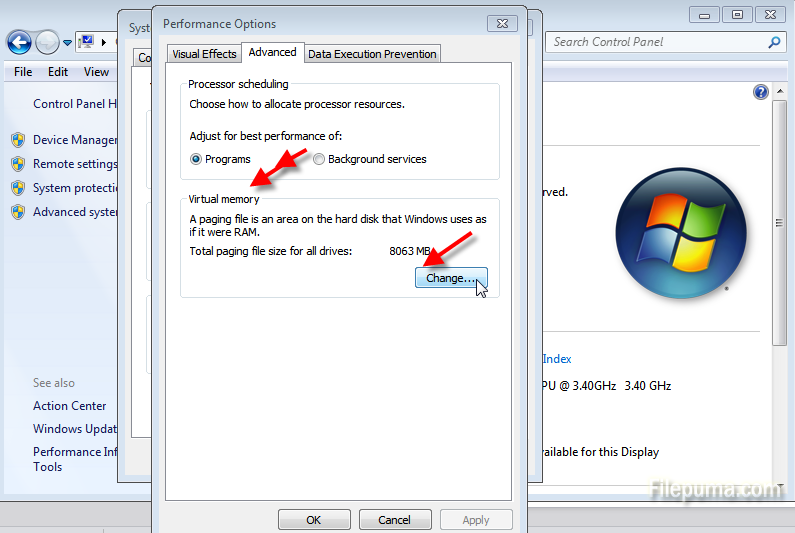 Step Two: In the drive list, select the system drive letter, and then check the “No paging file” option, then click the “Settings” button. 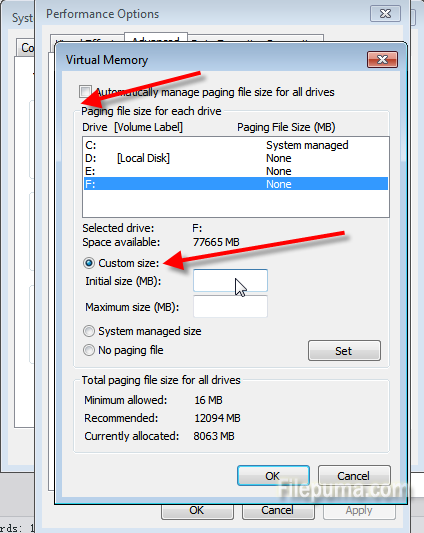 Step Three: Then click the other partition, select “Customize” option in the “Initial size” and “maximum” value set, and then click the “Settings” button, and finally click “OK” button to apply the change.